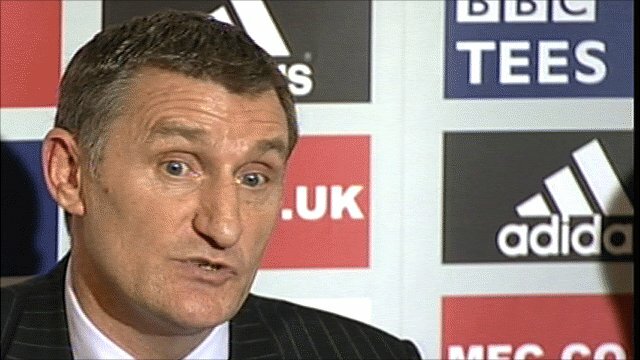 Middlesbrough have named former club captain Tony Mowbray as the new manager at the Riverside. The 46-year-old, who has had spells in charge of Hibernian, West Brom and Celtic, takes over after predecessor Gordon Strachan's departure last week. Mowbray told BBC Tees: "I've got an opportunity to steer us back to where we want to go and that is towards the Premier League. "Our ambition is to get the club moving back in the right direction." Boro currently lie third from bottom in the Championship having won only three games all season. "Since I was six or seven I've been a Boro fan and once the opportunity arose and a few things were ironed out it didn't take me a moment's thought," Mowbray continued. "There are some good players and characters at this club and we need to make sure we get them back on board and make sure they start enjoy winning and get the fans back through the turnstiles. "We need to turn this big steamer around and start heading back to the sunshine." The former Boro skipper will be assisted at the Riverside by Mark Venus - the pair previously worked together at West Brom, Celtic and Hibs. 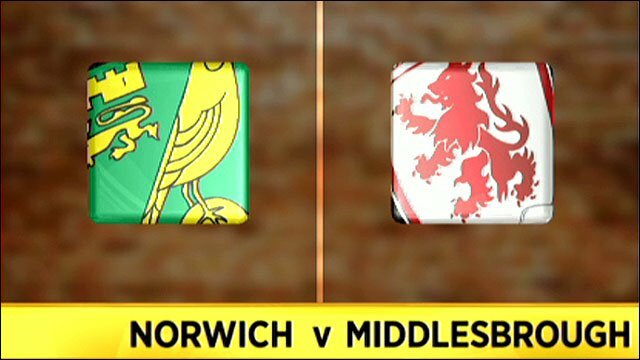 Mowbray arrives at the Riverside following a disastrous start to the campaign by Boro, with the side failing to win in their last six Championship outings and managing only one point from their seven away games this season. Middlesbrough chief executive Keith Lamb added: "We realise that the last few years have been on a downward slope. We need to arrest that slide. "It is a big job ahead, and a big job needs a big man - and Tony is that man. "It's fair to say we only approached Tony directly, he was our first choice and we've been very fortunate to capture him. "The reason we appointed him is because he cares for this club, he's passionate about it, and he has a proven track record in both English and Scottish club football." 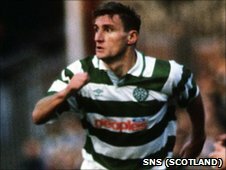 Mowbray, who made 424 appearances as a player for Middlesbrough after his debut in 1982, left Celtic Park as boss in March following a nine-month spell in charge during which the Scottish side won 17 of their 30 league games. Hopefully it'll spark a resurgence in support for the Boro and get the place 'buzzing' again - spirit of '86 an all that! But the side's attacking style failed to win over supporters and he departed with the club 10 points adrift of leaders Rangers. That was his first disappointment as a manager, having previously impressed at both Hibs and West Brom. He led Hibs to two top-four finishes in the Scottish Premier League before moving south to replace Bryan Robson at The Hawthorns in October 2006. The Baggies lost to Derby in the 2007 Championship play-off final in Mowbray's first season in charge but bounced back to win the Championship title during the 2007-08 season, as well as reach the FA Cup semi-finals. He was unable to keep Albion in the Premier League but impressed sufficiently for Celtic to pay £2m compensation to take him back to the SPL in the summer of 2009. Indeed, the Glasgow club will benefit financially from his appointment at the Riverside as he has remained on Celtic's payroll despite Neil Lennon being handed control of the first team in June 2009. And Mowbray's appointment by Boro will be the second time he has taken over the reins following Strachan's departure, having also replaced him at Celtic Park. Strachan succeeded Gareth Southgate at Middlesbrough in October 2009, but the former Coventry City and Southampton boss failed to make an impact on Teesside, with his reign in charge garnering only 13 wins from 48 games in charge. After missing out on the play-offs last season, Strachan signed a host of players, including Rangers pair Kris Boyd and Kevin Thomson. But the side suffered a disastrous start to the 2010-11 campaign, and Strachan departed with the side languishing in 20th place in the league - their lowest league position for 20 years.